Share book reviews and ratings with Thiszine, and even join a book club on Goodreads. It is a rare opportunity to gain an honest glimpse into the private life of a public persona. When it happens, the reveal is often surprising because the discovery of the “real” life is quite different from the character known to the public. 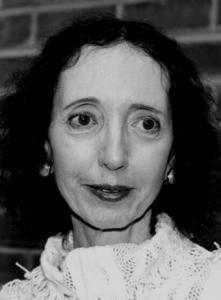 Joyce Carol Oates’ memoir of her husband’s unexpected death and the aftermath of grief over her loss is a deeply personal and honest look at her submersion into the ill-defined world of present-day widowhood. A Widow’s Story begins with Ray’s hospitalization for pneumonia at Princeton Medical Center. Ray, an editor, runner, writer and husband, had been in good, if not excellent health, for all of his 68 years. His bout with pneumonia, requiring hospitalization, was unexpected but not catastrophic. Both patient and wife expected a speedy discharge with life quickly returning to its happy and peaceful domesticity. Oates was blindsided by the rapid decline of her husband’s illness: heart arrhythmia, admission to the Cardiac Care Unit and the close monitoring of low oxygen levels. Throughout, she expected that he was going to rally and return to his usual healthy state. However, within the week Ray was dead of a rare but deadly hospital acquired infection, E coli bacterial pneumonia. Ray’s sudden, brutal and unexpected death unceremoniously threw Oates into a panicked state of widowhood. She tried desperately to comprehend the wrenching loss of her husband. Oates’ widowhood is dark, full of grief and provides a frank look at the abyss of absence. Her observations mirror some of the bleak themes she has explored in her own writing as her author-self, Joyce Carol Oats, to whom she refers to as JCO. A Widow’s Story is deeply personal and painful to read because it describes a wrenching end of a loving marriage. We as readers experience a Pandora’s Box of the unexpected and unwanted as she writes about the aftermath of death and of a life she never expected, wanted, or planned. Ray was her life. They had only each other; there were no children, just two cats and a garden, (mostly Ray’s cats and Ray’s garden). She compartmentalizes the year following his death into 5 distinct periods of time: I. The Vigil, II. Free Fall, III. The Basilisk, IV. Purgatory, Hell, V. “You Looked So Happy”. Oates is brutally honest with her reflections and recollections and she writes with a rawness that thankfully lacks self-deprecation or the canonization of the departed. She is truthful in her fear that she may not be able to carry on and writes poignantly about the difficulty of daily tasks and of wearing a brave face. Equally, she’s brutally honest about her perception of living up to others’ expectations of her as The Widow. Her grief does not follow any predictable stages. She is able travel and give speeches within a week of Ray’s death but she is unable to write. She cannot sleep, although she is perpetually exhausted. She keeps an exact inventory of pain pills, anti-anxiety pills and sleeping pills and, in the beginning of her life without Ray, she thinks often of making a quick and peaceful exit from her own painful existence. She has flashbacks of his death, she dreams that he is alive and she feels she is being watched by a reptilian creature who wants her to die. This honest recount of raw grief is painful, wrenching and lonely. A Widow’s Story is not only a memoir; it is also a social commentary on widowhood in the 21st century where there are no set rules. The formalities that mark the phases of widowhood are nebulous and isolating. Oates finds herself buried in food baskets she can’t consume and plants she can’t care for. She is never able to write acknowledgements of Ray’s death nor can she even pick up the phone. Her most uplifting and meaningful correspondences are via e-mail. Oates takes a very difficult look into the modern age of widowhood, speaking to the greater societal issue of avoidance and of the compartmentalization of people who are no longer part of what was once a comfortable whole. Yet, A Widow’s Story is not without humor and light: lives well-lived and full of love must have their glory. Thankfully, Oates reveals many of her beloved husband’s traits, characteristics and talents. She is able to describe the Ray she knew, lived with and loved for almost 50 years. She recognizes that while it is painful to imagine the loss, it is also an honor to share in the life. Her year ends with hope and with a small kernel of insight which reveals that grief, even fathomless and unimaginable grief of love lost, is worth wading through. Life will go on. Like that old question asked of Catholic priests, “To whom does the confessor confess?”, writers are often asked to name authors and novels that have influenced their work or, at the very least, left an impression upon them. Here are some links to a few of our favorites. Julia Glass’s most recent novel The Widower’s Tale was published in September. Not to be pinned down by the enormous task of selecting the ten best novels ever, Glass instead lists “ten terrific works of fiction” she’s read in the past year. DC-based wonk newspaper the Politico asked writers at a recent PEN/Faulkner Award for Fiction gala to recommend books for President Barack Obama. Jane Hamilton suggested Jane Austen’s Pride and Prejudice (but not its more recent companion Pride and Prejudice and Zombies ) while Audrey Niffenegger opted for George Orwell’s 1984. ZZ Packer referred the president to DC writer Edward P. Jones’s novel The Known World and to Toni Morrison’s latest A Mercy. For the presidential daughters she recommended Harriet the Spy by Louise Fitzhugh and Roll of Thunder Hear My Cry by Mildred D. Taylor. NPR’s column “You Must Read This” presents conversations with writers about the books they love to read and recommend. In case you were grasping to fill out your reading list, “You Must Read This” is a springboard with old and new recommendations – including many surprises. New York Magazine’s the Vulture has the most fun with authors recommending books. Some of our faves include Myla Goldberg’s Tales About Friendship Betrayed and Sam Anderson’s Anti-Franzen Novels. Pretending your husband isn’t outside the trailer smoking a joint is easy enough when there’s so much to clean. Men are ridiculous, Bonnie thinks with a smirk on her face. They think you don’t know what they’re up to. If Bonnie had a nickel for every time Danny thought he was pulling a fast one over her, well, maybe she wouldn’t be confined to life in a trailer. The electric hum of the vacuum cleaner calms her nerves. She likes keeping a clean and, dare she think, happy home for her family. This is the fourth time she’s unleashed the small mechanical wonder today against the powers that be, the unrelenting gathering of dust that tickles her nose, making her sneeze and sneeze, as well as all the other scraps and debris that stain an otherwise happy home. With Danny Jr. running around all over the place with folded pieces of sliced cheese in his hands, it’s no wonder Bonnie often notices bits and pieces of old, hardened food stuck in the carpet. That’s kids for ya. They make a mess. And mothers clean up after their babies. Bonnie only wishes her husband wasn’t such a baby needing looked after as well. She has her hands full with Danny Jr. and little Michaela. Right now, while Danny smokes his joint, he’s supposed to be out there watching their son, making sure he’s not getting into any trouble. But what kind of mother does that make her, that she trusts her dimwitted man to see past the plume of marijuana smoke to keep an eye on anything? CanLit awards season is heading into its last few weeks (our big three prizes will all be handed out by mid-November). Thus, it’s time for predictions, and, if you are a real lit-junkie, some serious bets. First, a few quiet observations. What everyone is perhaps not so quietly talking about is Kathleen Winter’s triple nominations for the Giller Prize, Governor General’s Award and Writers’ Trust prize for her novel Annabel. It is Winter’s debut novel after her 2008 Winterset Award winning short story collection boYs. Feeling two-thirds the heat as Kathleen Winter is Emma Donoghue, up for the Writers’ Trust and GG for her novel Room. The novel was also short-listed for the Man Booker earlier this fall. There are lesser hopefuls that may surprise Canada with a big win after all. David Bergen’s new novel The Matter With Morris has had its share of recognition this season. It is up for the Giller and may just take the cake out of Winter’s mouth. That said, it would be doggishly ironic if Sarah Selecky’s This Cake Is For The Party won the Giller. This is her debut work and has created considerable buzz in critic’s circles. Perhaps if the GG and Writer’s Trust accepted story collections, it would also approach taking those awards. On to my predictions: be warned, the following is purely unfounded speculation. On November 2, Michael Winter’s The Death Of Donna Whalen will win the Writers’ Trust award for fiction. In non-fiction, Sarah Leavitt will win for her graphic memoir Tangles: A Story About Alzheimer’s, My Mother and Me. A week later on November 9, Emma Donoghue will win the Giller Prize for Room. And in mid-November the Governor General’s Award for fiction will be presented to Kathleen Winter for Annabel. In non-fiction, Allan Casey will win for Lakeland: Journeys into the Soul of Canada. NaNoWriMo: What the Hell Was I Thinking? In the past, I’ve toyed with participating in National Novel Writing Month (NaNoWriMo) but have always found an excuse: November’s too busy, I’m in the middle of a project, I’m spending every waking hour of the entire month washing my hair. I’d completely forgotten that NaNoWriMo was approaching when Lars asked me, in September, if I planned on participating this year. Caught unawares by his Canadian charm, I couldn’t think of a good excuse. Even my previous year’s handy, ready-made put-offs evaporated. Why is my resistance so weak to you, Lars? So now I’m participating in NaNoWriMo. This means that during the month of November, my goal is to produce a 50,000 word novel alongside thousands of other writers (called “wrimos” in the NaNoWriMo parlance). I calculated this out: if I’m going to meet my goal of 50,000 words, I must write approximately 1,666 words each day for thirty days. That’s about three, single-spaced pages of a novel on a daily basis. Scratch that. My goal for the month of November is not to go crazy trying to write a 50,000 word novel. The main problem is that I’m a slow writer because my self-editor kicks in far too frequently. Even if I write three pages (or more) a day, I’m just as likely to delete 80% of my work the next day. I get stuck in the synonym mud of finding the perfect alternative to the word “bitter.” I work and re-work dialogue between characters and, sometimes, entire characters themselves. I tend to write fiction that is less action-orientated and more literary, where characters have an argument on one page and spend the next forty pages reflecting on it. Also, I’ve never written a novel before. Not a real, grown-up novel. I wrote “novels” all the time when I was a child, but these were mostly fifty page rip-offs of whatever Nancy Drew or Boxcar Children book I’d recently read. Once in a while I’d get smart and rip-off Katherine Patterson or Mary Downing Hahn but, generally, I’d go the commercial route with easily marketable mysteries. My writing focus is on short stories, many of which undergo three or four complete revisions before my first reader ever sees a draft. I guess the question is, can a short story writer produce a fifty thousand word novel in just thirty days? I don’t fool myself that this novel will be anywhere near good. No one will ever read it because after November, I’ll paw through its carcass for salvageable phrases and then delete the remainder without mercy. In all likelihood, this “novel” will reflect the various curse words I pitch at my computer screen as I sit down to advance my literary, people-in-a-room-thinking plot one word at a time. So what’s the point of participating in NaNoWriMo? For one month, I can try something I’ve never done before and can do it in the company of the very active NaNoWriMo group in my region. While I’m suffering, so will thousands of others and, in an odd way, that provides great comfort. I have permission to shut-off the self-editor that lives in my head. And Lars has promised me cupcakes. Isn’t that reason enough? Before you think you are going to settle down for a glimpse at what made Patricia Highsmith tick, prepare for a chronologically challenged, confusing and often repetitive narrative of the ins and outs of obsessions, ruminations, ideas and idylls that gave Highsmith’s novels like The Talented Mr. Ripley and Strangers on a Train their stylized edginess and cold calculation. Patricia Highsmith the Writer was a woman to admire: she wrote in a straightforward yet brutal manner that pulls the reader right into the hard heart and cold soul of her protagonists. It is thrilling to become immersed in Highsmith’s novels because she had a grip on bad that made it so good. While difficult to categorize her in a specific genre, she was a pioneer. Highsmith may be best known for her Ripley novels but her body of work includes twenty-two novels, eight short story collections, a suspense writers instruction guide and a book for children. She published a ground-breaking lesbian novel The Price of Salt under the pseudonym Claire Morgan in 1952. Patricia Highsmith the Woman was, quite possibly, someone best avoided. Labeled a psychopath and a “black cloud,” she was a raging alcoholic for most of her literary life. In many ways her art imitated her life – or at least the dark recesses of her psyche. She believed life didn’t make sense without a crime in it. In her one of her many self-observations she stated, “If I were to relax and become human, I could not bear my life.” A talented but flawed Miss Highsmith, indeed. Joan Schenkar tasks the reader mightily as Highsmith’s biographer. She forgoes the traditional chronological approach and instead groups the book into Highsmith’s themes/obsessions: How to Begin, A Simple Act of Forgery, La Mamma, Les Girls, Alter Ego, Greek Games. Nine divided parts jump into different times and places in Highsmith’s life. It is a meandering wander, a hippy Christmas that is difficult to follow and makes for unsettled reading. Schenkar’s method is the polar opposite of her subject; Miss Highsmith kept detailed lists, diagrams, maps and charts throughout her life. Schenkar’s unusual style does allow one to flip through the book without really missing a beat. Unfortunately, it is a beat that resonates with an uneven repetition of themes regarding Patricia Highsmith’s internal drives, which were apparently fueled by alcohol and cigarettes. There were women – many women – and occasionally a few men, in addition to her racist attitudes and actions, her aversion to comfort, avoidance of truth, self-history revision when convenient and an intense desire for privacy. Ah yes, and the collection of three-hundred snails Highsmith kept as pets. Highsmith loved snails because of their ambiguous shell and difficult gender identification. When bored at a dinner party, as she often was because she disliked food, Highsmith would pull a snail out of her purse or bra and play with it on the table cloth. The eight years Schenkar spent perusing 18 diaries, 38 cahiers (writer’s notebooks) and 8,000 pages of her unpublished work sit uneasily in nearly 700 pages. Patricia Highsmith’s personal thoughts and opinions are not pleasant places to linger, despite her talent. It is disturbing to see her age ungracefully from svelt sphinx to a craggy, hunched gargoyle. Phobias and fantasies become more prominent in her later years. After reading her biography, it can be safely said that one of Highsmith’s most admirable qualities of character is that she wrote about her demons rather than acting upon them. I must confess I’ve felt snobbish lately – my range of authors is a tad one sided in favour of the big press. 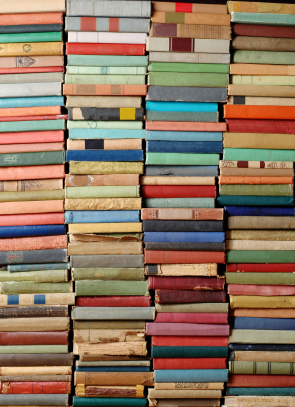 It’s not that I need sales or reputation to respect an author, not at all – it’s just that I’ve been blindsided by a few bigger, highly anticipated novels in the past few months. But being the rebel I am (insert laughtrack here), I know that big press is a euphemism for the man, and I won’t have that being the log in my literary fire. Best Canadian Stories: ’08, ed. John Metcalf (Oberon Press). While perusing my local library I found this gem, a compilation of short stories by ten lesser known CanLit authors like Clark Blaise, Kathleen Winter, and Amy Jones. Despite being edited by one of Canada’s top literary critics, this book really pushes some unheard names into reader’s faces. These are top notch intuitive stories, but their authors probably wouldn’t catch the attention of Penguin editors. What Is Left The Daughter, by Howard Norman (HMH). I’m reviewing this book for this and so far, from the fifty pages I have read, it is amazing. Set during World War Two on the East Coast of Canada, it is a life tale of extreme hardship at a young age (double parent suicide) and the further aftermath of a growing young man. The Matter With Morris, by David Bergen (Harper Collins) In honour of making the Giller longlist, I must mention that Bergen’s story is highly intriguing. I’ve only read a condensed version of Morris in this month’s Walrus, but it definately makes me want to buy a copy. With themes like war, romance, writing, and pot – how can you say no? Mordecai Richler Was Here, ed. Adam Gopnik (Madison). Ahh, I know, there’s nothing small time about Richler. But I don’t care, he’s my favourite author. His satirical wittiness, mastering the underdog story, putting CanLit on the map – he’s the best. 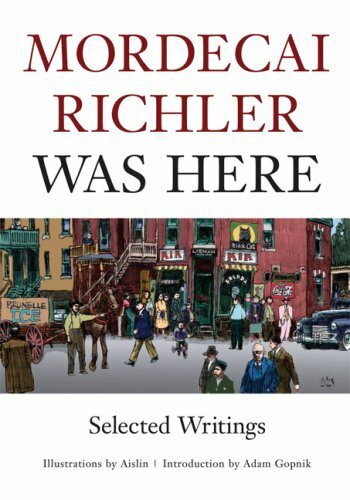 This book brings together a wide array of Richler’s journalism coinciding with relevant snippets from his fiction. It’s Richler’s perspective on politics, writing, and success in his own words, a definite read for budding writers in need of guidance. I have also been paying attention to Joey Comeau’s blog posts over at Open Book Toronto this month. Comeau is gaining a heap of recognition in Canada lately with his most recent novel One Bloody Thing After Another. He also provides captions alongside Emily Horne’s photography on A Softer World, an ongoing web comic. And yes, I realize this is all Canadian writing. September/October 2010 Issue Is Here! We can’t believe it’s true! Head over and read our newly published September/October 2010 issue! Congratulations to our nominees for the Best of the Net 2010! Nominees were eligible for selection if their piece was published in an issue of our ‘zine between July 1, 2009 and June 30, 2010. Sundress Press established Best of the Net to promote the diverse and growing collection of voices that are choosing to publish their work online, a venue that still sees little respect from such yearly anthologies as the Pushcart and Best American series. The Best of the Net collection will hopefully help to bring more respect to an innovative and continually expanding medium. You can read 2009’s winners and finalists, as well as the archive of past winners, at Best of the Net 2009.